Queensland farmer, Krista Watkins won the AgriFutures 2018 Rural Women’s Award in Canberra this week for her food waste solution to turn wasted green bananas on her farm in Walkamin into banana flour. For 23 years the award has acknowledged and supported the essential role rural women play in rural communities, businesses and industries while also providing an influential platform among parliamentarians, the agriculture industry and the media to promote their cause and empower other Australian women. Ms Watkins, along with her husband, runs the first and biggest commercial production of banana flour in the world. She now is now expanding her food waste solution to sweet potato flour: “The sweet potato industry wastes, on average, 50 tonnes per acre due to over-supply in the market and supermarket size requirements,” Ms Watkins said. The award runner up went to Darrylin Gordon, A Juru Aboriginal woman from Halls Creek in Western Australia, for her work in industry skills and leadership development programs. Darrylin who believes “change happens from the inside” is striving to fulfill the potential of her community by teaching industry related skills and leadership development. Minister for Agriculture and Water Resources, David Littleproud praised the National Farmers’ Federation President Fiona Simson in his speech at the awards for the fantastic example of the positive impact women can make in the farm sector. “Women are farmers and leaders and always have been,” he said. Each state and territory winner received a $10,000 bursary for innovative ideas and projects, access to professional development opportunities and alumni networks. Previous winners of the awards include Georgie Somerset who is now an ABC and Royal Flying Doctor Service Director and Danica Leys, the current CEO of the CWA NSW. Registrations are now open for the 2019 awards. If you are or know an inspiring women who are doing amazing work within the agricultural industry and her community click here. Also in Canberra this week, the National Farmers’ Federation’s Diversity in Agriculture Leadership mentoring program came to an official end at the NFF 2018 National Congress. The eight participants graduated during a panel session on day two of the National Congress moderated by the ABC’s Brett Worthington. 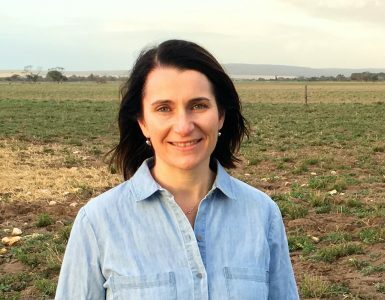 The program aims to see more women join the senior executive and Board level ranks of Australian agribusinesses and farm-representative bodies by taking part in an intensive one-on-one mentoring program. Ms Simson said during the graduation presentation that she was blown away with the success of the programs inaugural year and the achievements and growth of the eight aspiring female leaders. “I was blown away by the diversity of the qualifications and experiences of applicants and their approach to what agriculture needs in terms of leadership into the future,” she said. Currently, only 2.3% of chief executive officers in Australian agribusinesses are female, compared with an average of 17% across other industries and only 13% of representatives in leadership roles are women, compared with an average of 28% in non-ag related industries. The program is well underway to championing gender diversity in agricultural leadership roles and changing those statistics for the better. Congratulations to the graduates, thank you to the mentors for the generosity of their time and wisdom and watch this space for more information on next year’s program applications.